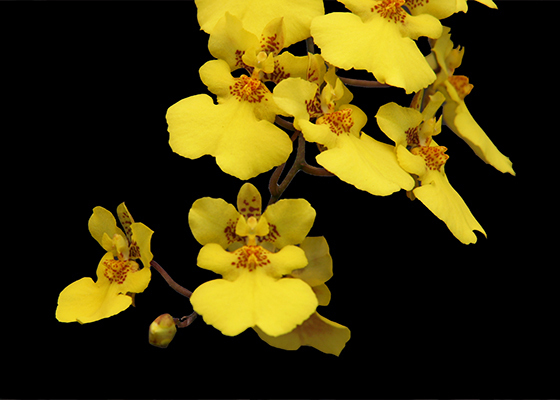 A charming, compact, equitant Oncidium. The flowers are a bright, saturated yellow with brick-red spotting in center. 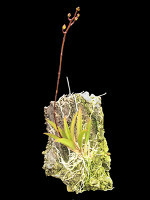 The plants offered here are mounted onto cork bark.Intermediate growing. October blooming.